Be well guided on the upcoming Grotonfest, a yearly celebration of small business in Groton, MA. 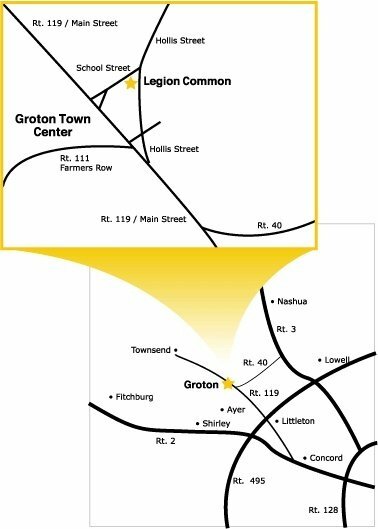 We have compiled some of the most important Grotonfest information for your convenience. Save the date, and read through this page to learn more details about our event. Gates A and B are located on Hollis Street. Gate C is located on Main Street at the intersection of Legion Street. Public Parking will be located at the Groton Dunstable Middle School on Main Street. Parking is also available on one side of Hollis Street. If you have any handicapped or disabled individuals traveling in your party, there will be parking available behind the Boutwell School located on Hollis Street.